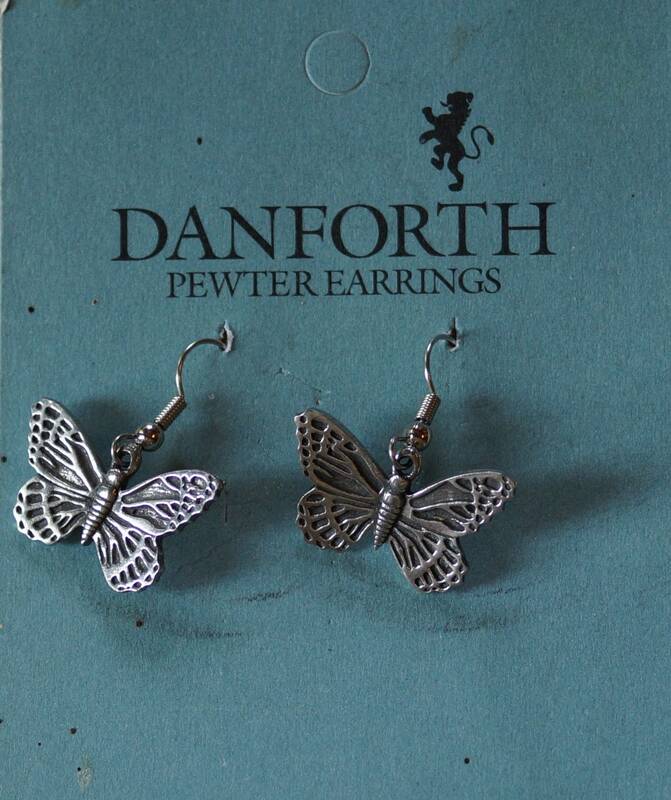 BUTTERFLY wire drop earrings from Danforth pewterers in VT. Carrot has design on front and back. Bunny only has design on the front. The drop is 1.25 inches and is about 1 inch wide. Wires are stainless steel.